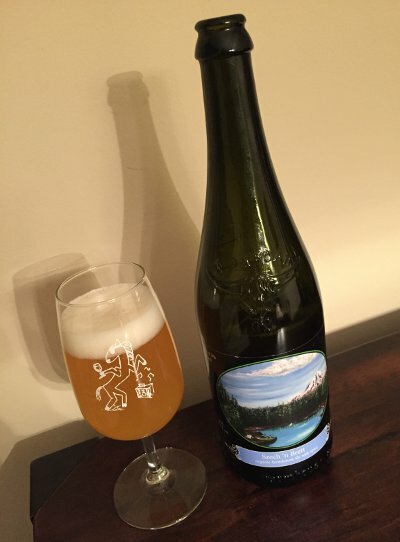 We've been mightily impressed with Allagash's seemingly expanded sour program, so we've been keeping an eye out for more of this stuff, and fortunately, Allagash has obliged my whims. A pretty steady stream of new bottles has been showing up from time to time, and I'm always willing to take a flier on these, even if they are a bit of a pricey proposition. Interestingly, several of their sour beers are aged on stainless steel rather than more traditional barrels, and I have to say, it doesn't make as big of a difference as I'd think. I loved Farm to Face, and the better of today's double feature was also a straight stainless steel offering (of course, it was still aged 2 years, so maybe that's part of it). Beer Nerd Details: 7.1% ABV bottled (375 ml caged and corked). Drank out of a wine glass on 1/30/16. Bottled: Sept. 16, 2015. Beer Nerd Details: 7.7% ABV bottled (375 ml caged and corked). Drank out of a goblet/chalice on 1/30/16. Bottled: Aug. 24, 2015. Released: Black Friday 2015. Always enjoyable catching up with Allagash, and I will of course be keeping an eye out for more stuff, particularly their sours, which seem to hit me just right. We're big fans of Logsdon Farmhouse Ales here at Kaedrin. 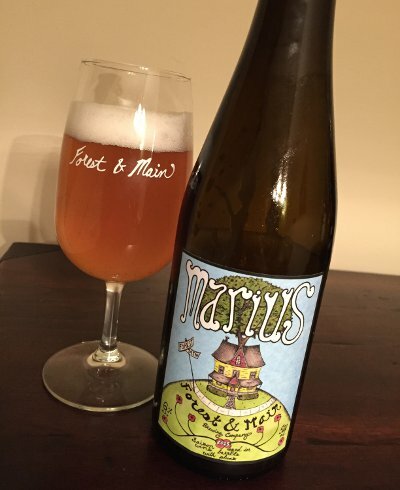 They really know their Brettanomyces, and produce some of the better funky saisons that are generally available (... where they distribute, at least). They've done great things with oak aging and added fruit as well, so it's time to tackle a session saison. Well, sorta. Beer Nerd Details: 6.5% ABV bottled (750 ml). Drank out of a flute glass on 1/29/15. Bottle No. 6949. Best By: 10/2019. Always on the lookout for new Logsdon stuff, and they do seem to be slowly expanding their lineup over time, which is nice. I'm sure you'll be hearing more about them sooner rather than later. 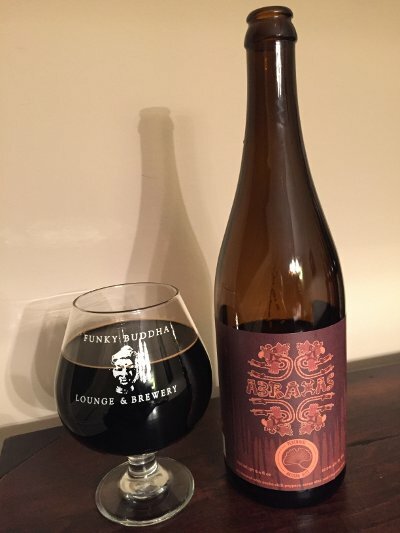 Remember when Imperial Stouts were special? Just regular stouts that happened to be higher in alcohol than normal? Those things like Storm King, Kate the Great, Darkness, and so on? Then people started going nutso for barrel aged imperial stouts. I should note at this point that I'm not really waxing nostalgic or complaining here, I'm fully on board the barrel aged train to impy stout town, I just wanted to note a progression here. It's not a perfect progression, but in broad strokes it works. We start with big stouts, move on to barrel aging, and then people started losing their minds over imperial coffee stouts (and to a certain extent, they still do). As frequently opined here (I won't shut up about it and I am totally the worst), I'm pretty ambivalent towards coffee. I have gained a certain appreciation for coffee stouts, but I'm almost always wondering what the regular, non-coffeed version would be like. Beer Nerd Details: 10% ABV bottled (750 ml). Drank out of a snifter on 1/22/16. Bottled: 11/2015. While the concept of a "Grand Cru" is formally defined for wine, there's little to distinguish it from a marketing tactic in beer. Nothing particularly wrong with that, it's just good to know that beery Grand Crus are not quite as reliable. But most brewers do try to make their Grand Cru special in one way or another, and when a brewer of the stature of Almanac introduces a series of beers with the designation, it's enough to pay attention. Beer Nerd Details: 10.2% ABV bottled (750 ml). Drank out of a flute glass on 1/23/16. Bottled: Autumn 2015. The other release is Dogpatch Grand Cru, basically an imperialized version of their Dogpatch Sour made with a variety of red wine grapes (instead of the typical cherries), which I plan to share with a few friends soon. 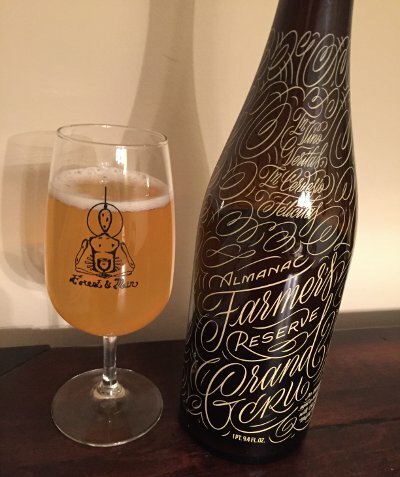 As usual, Almanac is a reliable source of excellent sours that are readily available in Philly these days (which is certainly a boon). Having just endured Blizzard Jonas this past weekend, I figure it's time to dig through the svelt 25" of snow outside and then come back inside and review beer. In truth, being snowed in particularly suits my temperament, so long as I don't lose power or internets (and even then...) Anyway this beer seems particularly appropriate, as Siberia is famed for its short summers and long winters of punishingly cold climate. That's "punishingly" in an almost literal sense, actually. The Russian Empire had a system of penal labor called Katorga in which prisoners were sent to remote areas (where voluntary workers were never available in sufficient numbers) and forced to into mining or lumber production. The Soviets later incorporated and expanded on the concept with the Gulag system. If you've ever read One Day in the Life of Ivan Denisovich, you know that Siberia is not generally a place you want to be. Of course, this is a brewery called Thirsty Dog we're talking about here, so I don't think they were channeling Alexander Solzhenitsyn with this beer. 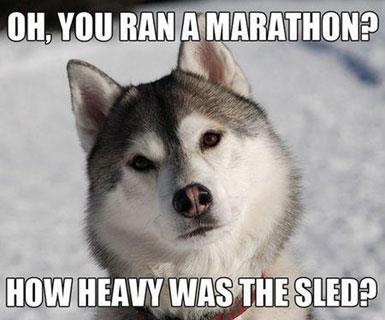 Instead, they were probably thinking of adorable Siberian Husky memes. Beer Nerd Details: 10.9% ABV bottled (12 ounce). Drank out of a snifter on 1/17/16. Vintage: 2015. The regular non-BA version is pretty solid as well, and it's companion beer, Wulver has become one of my favorites. What is the snowman's weakness? There's probably a better way to ask that question, one which does not imply that snowmen are monsters we must defeat by exploiting some sort of weakness, but the answer is obvious: heat. One might think that this sort of thing would also populate a snowman's dreams... or nightmares, if you will. But then I remember that Hans Christian Andersen wrote a story called The Snowman in which a snowman falls in love with a stove. So maybe snowmen don't fear the heat. Then again, like most actual fairy tails, this one comes to a tragic end: the snowman melts and is forgotten by those who made him. It's speculated that Andersen was inspired by a short love affair with a "handsome young dancer" that resulted in "pining and discontent". Well this post went in a dark direction, so let's drink an Old Ale from Conshohocken Brewing Company, a newish (couple years old now) local brewery near my old stomping grounds. I've had a few things from them, but never really made the time to visit. 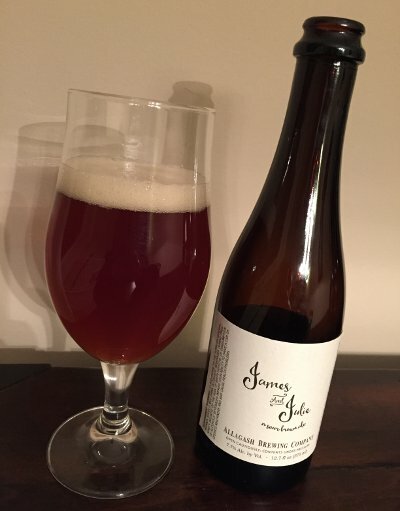 This beer was made in 2014 and released near Christmas in 2015, truly an "old" ale. Beer Nerd Details: 10.9% ABV bottled (22 ounce bomber). Drank out of a charente glass on 1/16/16. Vintage: 2014. Supposedly they had a tequila barrel aged version of this on tap at the brewery, which actually might represent a significant improvement on this. I could see the base being a good platform for barrels of many kinds, actually, but then, I would think that because I'm a barrel freak. I'm the worst. One of the things that emerged during the 1990s surge of microbreweries (and subsequent bubble burst) was an explosion of brewpubs. I mean, they weren't a new concept, but the infusion of capital that happened in the 90s lead to a particular style of brewpub that went through a rough patch before settling into a rythm. You know the type. John Harvard's (who used to be all over the place, but retreated back to their New England roots when times got rough), Rock Bottom, Gordon Biersch, and countless local chains. They're not necessarily bad, per say, but they tend to be generic. Bright, spacious, competent, but bland and lacking personality. Newfangled brewpubs like Tired Hands, Forest & Main, and Vault are more idiosyncratic, warmer, more homey, and their beer is an order of magnitude better. Even their expansions seem more organic and less cookie-cutter. The oldshchool brewpubs that survived the 90s have generally done so by expanding their offerings into new and interesting territory than your standard brewpub lineup (i.e. light lager, pale ale, porter, wheat, etc...), but they often still feel generic. Around here, Iron Hill seems to do well with a nice atmosphere and decent taplist. They even opened one a block over from Tired Hands and seem to be holding their own. Not all of these brewpubs are doing that well. Beer Nerd Details: 6.4% ABV bottled (750 ml). 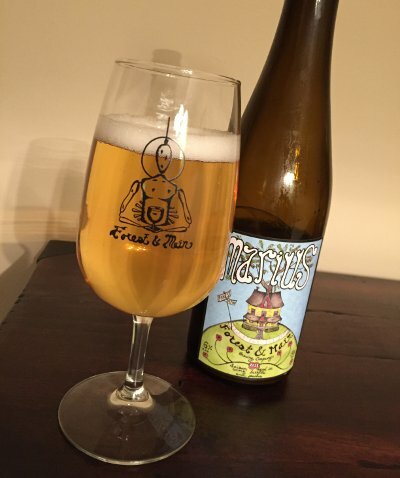 Drank out of a charente glass on 1/8/15. Batch: 2. Bottled: October, 2015. Great, even when I think I have a local brewery pegged, they go and do something like this. I will most certainly be seeking out these special releases in the future. Beer Nerd Details: 6.2% ABV bottled (500 ml). Drank out of a flute glass on 1/8/15. Bottled: 20150623. 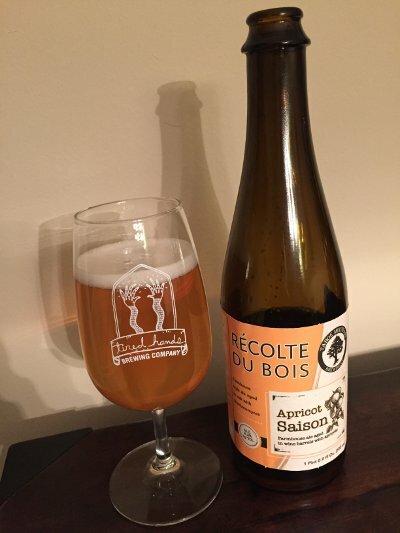 So yes, I want more of these Recolte Du Bois variants, particularly interested in the Peach version, though they all sound great. Oh, and why not try some of their Dark Ages beers? Old Ale? Imperial Stout? Bourbon barrels? Yes please. Thanks again to Jay for introducing me to these fine purveyors of beer. Beer Nerd Details: 6% ABV bottled (500 ml). Drank out of a flute glass on 1/2/15. 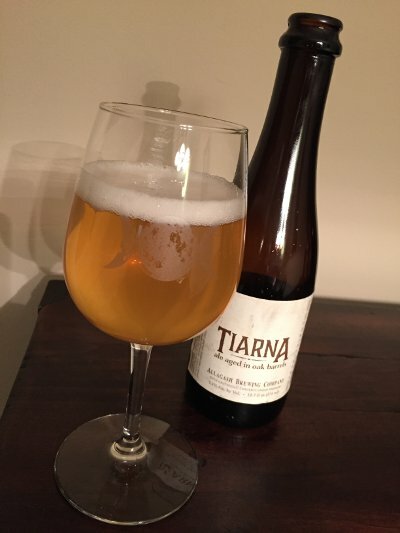 Bottled 11/4/15. Released 12/20/15. More great efforts from Forest & Main. They've got an expansion underway, so I'm expecting to see great things from them in the nearish future. New Year's Eve has emerged as a time to drink lambic. At least, for me it has. So we cracked a couple bottles, and I found this to be the more interesting of the two. It's a very strange beer. 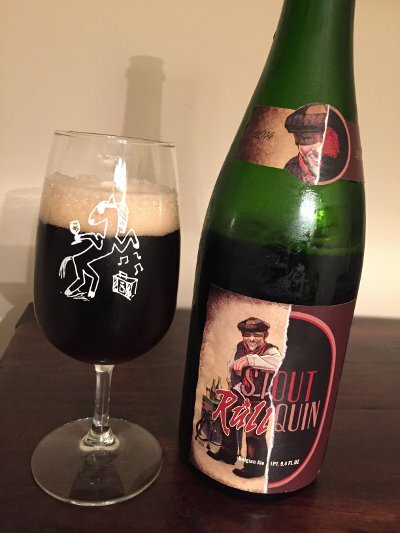 It's a collaboration between Gueuzerie Tilquin and Brasserie Artisanale de Rulles wherein Tilquin blended 7/8 of La Rullés Brune with 1/8 of 1 year old lambics from Tilquin's stores (Tilquin does not brew their beer, but they do age and blend it) and then aged the result in barrels for 8 months. Truth be told, I almost didn't notice it sitting on the shelf because the (rather nifty) label blends the two collaborators' artistic styles (though not proportional to the blend of beer, but if they did that, Tilquin would get almost none of the label!) Tilquin used to be reliably available, but has been getting more scarce lately, so my eyes always perk up with I see their distinctive labels. We did it, you guys! 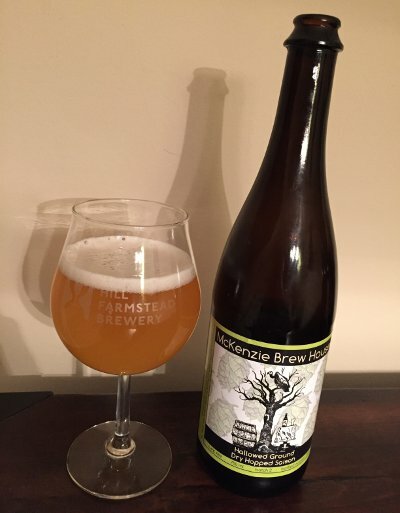 We made another great beer hard to find! Beer Nerd Details: 8% ABV bottled (750 ml caged and corked). Drank out of a flute glass on 12/31/15. Best Before: 31/03/2025. Released: September 2015. Tilquin's Gueuze was the beer that made me see the light when it comes to sour beer, so I'm always on the lookout for their stuff. Would really love to try the blackberry lambic they recently made, but who knows when that will show up (and when it does, I'm sure it'll go quick).